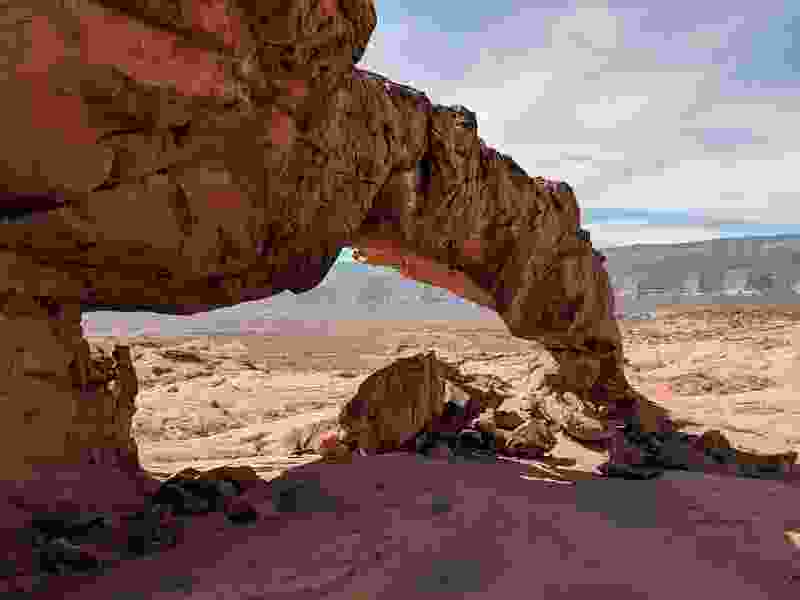 (Photo courtesy of University of Utah Geohazards Research) Pictured is Sunset Arch in what is formerly Grand Staircase-Escalante National Monument. Utah is known as the Beehive State, not only because of the industriousness of Mormon pioneers but also because it is home to more than 1,000 bee species. With the continual worldwide decline in bee species and the changes in our climate, it has become critical to monitor and find ways to encourage and protect our bee populations. According to a PubMed article released Nov. 7, 660 of those bee species were found in Grand-Staircase Escalante National Monument and were studied over a four-year time frame. Until recently, protection has been available for the bees found in GSENM; however, the Trump administration and many of our Utah representatives in Congress are trying to strip away the protections of our beloved national monuments — including our newest treasure, Bears Ears National Monument — often at the expense of bees. If Utah wants to be known for its beehives, winter sports, national parks and national monuments, it needs to put more effort into protecting the delicate ecosystems that create the “Life Elevated” they are trying to sell.